Mastery; a foreign concept in our western way of thinking. It’s a word that is hardly relevant to our understanding of how the western world functions today. In our new world we assess achievement with diplomas, certificates and degrees and aggressively climbing the ladder to success. In the old world, however achievement was determined by mastery and degrees of mastery of skill sets. The education process, whether through apprenticeship or formal education was evaluated by a system that considered and challenged an individuals’ determination and willingness to accomplish a high personal moral and ethical standard in relationship to their work and social position. Today we are less accountable to our professional and personal acquaintances for our belief systems but that’s not really the problem. The real problem is that we are significantly less accountable to ourselves to conduct ourselves with integrity and truth. More and more we put forth a minimum of effort, content to slip unnoticed through the cracks, and do the least of what is required in friendships and work. Sadly our own ambition, self-satisfaction and eventually happiness wanes in the fog of mediocrity. Reiki is a system of Mastery. The knowledge of Reiki is delivered to the student through levels of information that must be practiced, integrated and experienced before moving on to the next level of knowledge. Each level must be embodied before one can move on to the next. In fact it is only through that embodiment that Reiki can be understood. Only through embodiment can the knowledge and practice of Reiki be mastered. 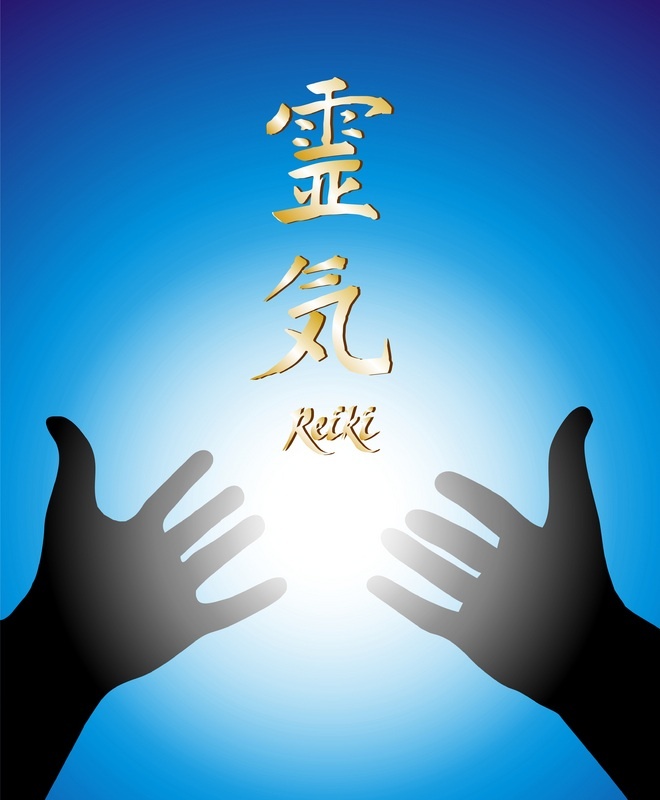 Only through mastery can the teacher effectively attune another to the knowledge of Reiki. There are real things to learn and practice in Reiki. Time is needed before one can even get the feeling of energy consistently in their hands. But more than this, there is an esoteric quality to the knowledge of Reiki. This knowledge of Reiki is fiercely intimate. When a student has embodied the teachings of Reiki it is realized by others. Reiki affects the student on a cellular level. Students and clients will sense a resonance and even a vibration in their core when introduced to Reiki during an attunement or a healing session. Reiki will stimulate a long-lasting passion that is felt beyond anything words can adequately explain. Reiki also seems to commonly create a feeling of familiarity; a deep sense of ‘knowing’ is awakened. And this, in a nutshell, is wherein the healing power of Reiki resides; in its ability to awaken the innate knowing of divine health and perfect order within us. As you can imagine, it may take some time to become fully awakened to that perfect potential. After all, after having been asleep for a great deal of our lives we tend to be a bit groggy when our eyes first open to this new possibility. Just like waking from a dream, it can be difficult initially to know just what exactly is real and what is not. Fortunately we don’t have to think about it too much. We just have to learn to get out of the way. The level of mastery of a Reiki practitioner depends on his/her ability and willingness to develop the skills required to work effectively with the tools of his trade in all aspects of his life. In Reiki these tools include the 5 precepts, and the symbols. The Reiki practitioner must learn to communicate effectively with energy, emotion, thought patterns and physical manifestation. A skilled Reiki practitioner has learned patience, stillness, and compassion. A Reiki practitioner achieving mastery learns to let go fear and expectation and has faith in the divine perfection of our universe – always. This is work for a lifetime. The game of life teaches us until the day we die lessons of fear, faith, love, respect, authenticity, and gratitude (the precepts of Reiki). It is unrealistic to believe that these lessons must be mastered to be a master of Reiki, there is needed only the loving willingness to be awaken to the divine life force within you within the teachings of Reiki the modality. Is Reiki the only way? No. Reiki just provides us an exceptional framework in which to work and measure ourselves. There aren’t many systems that are equally as effective in dealing with the whole body mind complex as Reiki is. There are fewer still that are available for training the self to accept health and well-being. But mastery in all aspects of life will improve the quality of life in general. Reiki – as in Universal Life Force Energy – teaches us that health is not something to seek nor to achieve so much as it is a way to be. The pain, disease and failure that we experience in our lives is largely a result of our expectations, our point of focus. Where attention goes energy flows. When our point of focus shifts towards space, de-congestion, stillness and non-attachment, we will find ourselves freed from pain, with peace and happiness close behind. Mastery is the key. Mastery of self, not of Reiki is what is needed. Mastery became distorted in our collective minds through the event of slavery, the idea that someone other than our self had the power and right to be Master over our own destiny. When we surrendered to the belief that we were to submit to a power greater than ourselves we lost. It’s a long climb back to the top when you’ve fallen to the bottom of the abyss. Mastery is to claim back the power of self from something that controls you. If you are reading this you are probably not one of the millions of people on our planet who are still truly enslaved to another’s power and dominance. You are lucky. You have choice. You have the right to choose the quality of your life. So do you? Do you choose freedom of thought and excellence in the pursuit of your heart’s desire? Or do you stay enslaved by fear, by money, by jealousy, by loneliness, by boredom, etc? The things that can enslave you are endless, but as hard as this is to hear; it’s your choice. Choose to be free. Choose Mastery. Make a commitment to yourself to live passionately, honestly and authentically from your core. Release your enslavement and replace them with your power. Dedicate yourself to your highest possibility. We are amazing manifestations of vibrating energy radiating light. When we are enslaved to a negative belief system, or a substance, or to another we diminish our natural ability to shine brightly. Take back your light, learn to be masterful in anything you choose. Andrea is preparing to teach a !st Degree Reiki Class in Campbellford, ON and in Hamilton, ON in February. She is holding a Free Introduction to Reiki Gathering in Campbellford, ON on January 30, 2011 to answer questions, give sessions and provide information. This gathering is suitable for anyone interested is self-healing and discovery, learning Reiki for friends and family, or just trying it out. There is absolutely no obligation in attending. For more information see Upcoming Events at the top of this page. Hi Catherine – I agree completely! It is the beauty and wisdom of Reiki to be with us perfectly. And don’t you find that in that relationship we are gently encouraged to grow, learn, and discover more of our selves…that we in our practice become more tolerant, more compassionate, more joyful in whatever increment we can manage? Thank you for commenting. I appreciate your feedback! I find that Reiki has certainly helped both myself and my students to grow. I like that it’s equally accepting of both our excellance and our perfect imperfection….